Casual suits are intended to showcase a more relaxed, informal appeal. 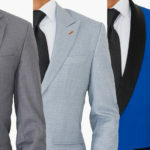 Rather than the typical, formal suits, these suits are designed in versatile styles and designs for casual wearing. They are also constructed using different types of materials and come in different sizes and colors. 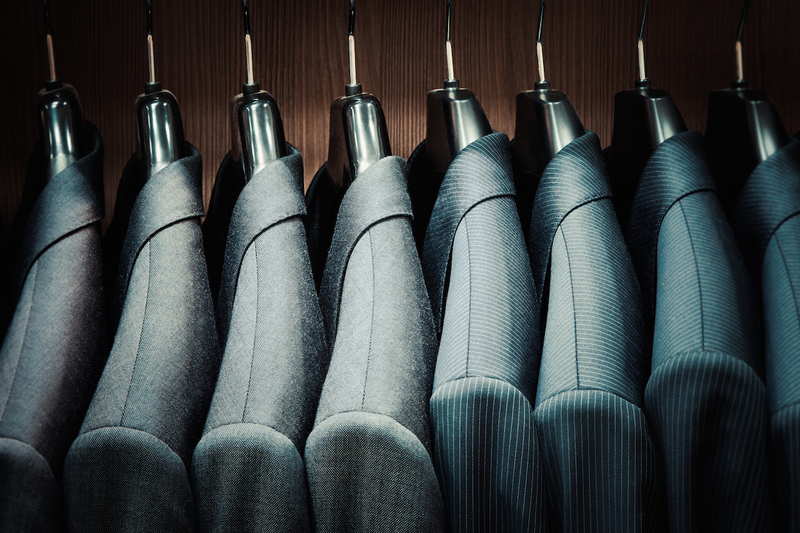 Casual suits are not as roomy as compared to regular fit suits. Nevertheless, they are not really tailored sharply just like those in the slim fit category. 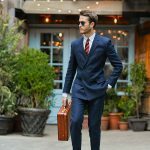 Casual suits are well preferred by men who are interested in making sure that they still look sharp and elegant, but are quite unsure if they are not able to pull off wearing slim fit suits. Casual suits often come in modern styles and are generally a match for all environments and ages. They can also be styled easily, depending on your personal needs and preferences. Casual suits are the ones that you can wear if you are going to a certain event but do not want to look like you are overdressed. Yes, it sounds impossible, but it’s conceivable. However, a casual suit should be a well-tailored suit, too. These are some of the most popular items sold online. They are perfectly comfortable, with some sellers even allowing for customization, according to your personal style and fit. One of the most popular casual blazer jackets on Amazon. It has a one button closure and decorative chest pocket. The fit is slim, giving you the perfect silhouette. More than 65% of the people who bought the jacket, rated it as perfect. Keep in mind to refer to the size chart before you order it, though. It’s available in different colors, including: black, blue, gray and navy. This casual suit can be worn on several different occasions. Despite being tagged as ‘casual’, it still comes with a brief figure style, which can still show off your masculine charm. It is made of senior fabrics, slim and polymeric. Just a note, this casual suit is available in Asian size. It means that if you are ordering from the US, it is best to order size, or two sizes up. On the other hand, if you are not sure about your size, you can refer to the size chart listed next to it. This comfort soft casual suit comes with one button closure, as well as a notch lapel. It comes with inner and outer pockets which is great for storing any accessories. It is also equipped with a modern double side vent design which offers you comfort and breathability. This suit also features two vents, two-button closure and notched lapels. Made of imported European luxury soft fabric, with both inner and outer pockets. The manufacturer also paid keen attention to every detail, thus resulting in the creation of these stunning blazers. Available in several colors. This suit is made of cotton blend and is perfect for both fashion and casual use. It comes with a very unique style, thus making you more handsome and fashionable. The jacket waist is pinched in with darts on the front panels to come up with a slimmer fit. At the same time, the breast pocket also comes with a false handkerchief that is sewn in. The two front pockets are sewn shut, though they can be removed. Overall, the jacket is comfortable to wear and lightweight. It is perfect with both casual attire and business casual look. Available in different colors, too. This suit is made of cotton and polyester. The measurement for the size unit is pretty unique with this set. Therefore, it is very important to use chest size when selecting your size. Going up a size larger than your usual measurement seems good for people who purchased this suit online. As this suit comes in a slim fit style, the size is expectedly 1 or 2 sizes smaller compared to US size. It has a two button opening and padded shoulders. The jacket is fully lined, has inside pockets and long sleeves. Perfect for autumn. It is recommended to check the size measurement in the description first before buying. Available in different colors. Casual suits are perfect for events wherein you do not have to be strictly formal. They generally come in modern and trendy designs and are often less serious-looking compared to regular fit suits. As a result, you can play with how this suit will look on you. There are different colors and styles that you can choose from. Choosing the one that best suits your personality and impact on you, is the one you should consider. The list above shows that there are different options that you can take into consideration. If you are interested in having a casual suit which can also double as a formal suit perfect for formal events such as weddings, a good option is the casual slim fit suit jacket by Coofandy. It still gives you the overall feel of a casual suit, but still the same elegance that you need to make you feel at ease in any formal type event.